Faster and Louder: The Dahlmanns + Andy Shernoff = Gold! 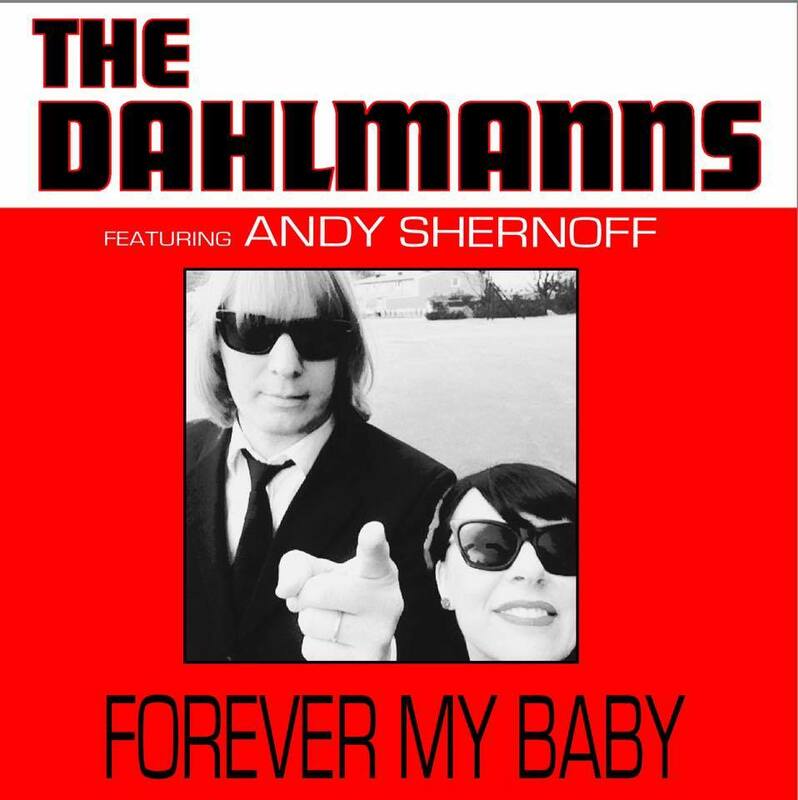 The Dahlmanns + Andy Shernoff = Gold! Let the record show that the very existence of The Dahlmanns was a major influence on the creation of this blog. And once the blog was created, I chose to name it after a song written by Andy Shernoff. So it goes without saying that I was elated to hear that The Dahlmanns have recorded two brand-new songs written by Andy Shernoff and released them as a single. Seriously: how can it get better than this? You've got the best pop band in the world collaborating with one of our greatest living songwriters. And the results do not disappoint! In addition to co-writing "Forever My Baby", Shernoff also shares lead vocals with Line Dahlmann on this absolute gem of a track. This sort of boy/girl duet lamenting lost love is such an essential part of rock n' roll lore, but most modern examples are completely cringe-worthy. "Forever My Baby" gets it right, with believable vocal performances from both singers and a musical style that combines the conventional power ballad with elements of '60s girl groups. Shernoff's voice is in fine form, and there's little doubt that this song is the creation of the man who wrote and sang The Dictators' "Heartache". Staying with the '60s pop influence, "The Last Time" recalls the ringing melodies and romantic innocence of that golden era (but with a modern sheen). It's an absolutely beautiful song, and it's just so well suited to Line's voice. In the pop world, there's just no substitute for a memorable melody and a great singer! "Forever My Baby" is out now on Pop Detective Records and available for download via iTunes, Spotify, CD Baby, etc. A vinyl version is due out this summer on The Next Big Thing - Lindsay Hutton's legendary zine/label which is celebrating its 40th anniversary this year. I'm not quite ready to say that this release is a mortal lock for 2017 single of the year. But, you know, it's gonna be a tough one to top! Debut LP from Moral Panic! Rockatanskys single from Jarama 45RPM Recs! New album from Tom Baker and the Snakes! New one from Tommy and The Rockets! New album from Brom Bones! New single from Devious Ones!